List Rules Vote up the terrifying cartoon episodes that are definitely not appropriate for children. 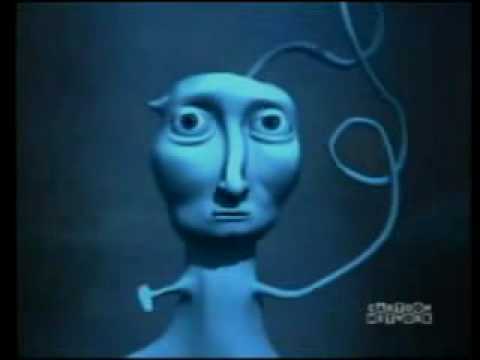 Despite being intended for developing minds, some children's shows are remarkably unsettling. There are plenty of cartoon episodes that gave us nightmares, especially if you're an older fan who grew up during a time when age-appropriate entertainment wasn't quite so wholesome. Most people recognize Courage the Cowardly Dog as one of the scariest cartoons of all time. After all, pretty much every episode revolves around a new eldritch abomination. However, plenty of animated horrors appear as normal kids' shows, making it easy for mature content to slip past the negligent eyes of disinterested parents. No matter how bright and upbeat franchises like The Powerpuff Girls try to be, creepy cartoons always manage to slip through the cracks. "Perfect" is one of those Courage the Cowardly Dog episodes that's a little too real. Courage's insecurities manifest into a horrific governess who's determined to make the canine hero "perfect" by way of yardstick beatings. Midway through the episode, Courage has a series of nightmares as surreal as they are off-putting. The worst is almost certainly the crude, 3D-rendered underwater creature whispering, "You're not perfect," just before a screaming Courage awakens. It's a story as old as cinema. Thieves steal an artifact from a tomb, causing a ghost to bring plagues down upon anyone who possesses it. What sets "King Ramses' Curse" apart is the episode's bizarre animation. Even if the pharaoh's horrid, broken arms don't give you nightmares, his desiccated 3D appearance probably will. "Freaky Fred" manages to live up to its title's ghastly promise. The whole episode centers around a hellish nursery rhyme about how Fred likes being "naughty" by shaving off people's hair without their consent. Eventually, Fred and Courage get trapped in a bathroom, at which point the creep shears off all of Courage's fur - minus the hair on his tail, since "that would be weird." Batman was always a gritty franchise, but Batman Beyond's "Earth Mover" really takes the scares up a notch. The episode follows a girl's presumably dead father as he attempts to kill his daughter's guardian by burying him alive in front of her. As the story reaches its climax, the girl comes face to face with her father's decaying, undead corpse. Chemical waste pumps through his remains, keeping his spirit alive and granting it macabre powers. When Batman bursts in to save the day, the ghoul summons a juggernaut made of earth that takes the daughter hostage. Though Batman dispels the spirit's power and saves the girl, neither receives proper closure. The father expends the last of his energy to help his daughter escape, at which point the episode ends, leaving the rest of the trauma to therapy.